The talk will present the work done in the past two years on the topic of target-based assisted orchestration. 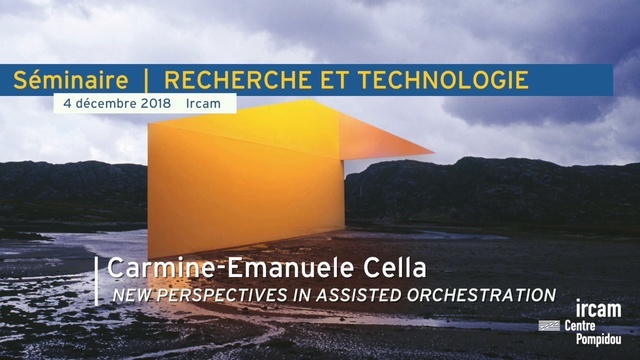 The aim of this work has been to continue the research done at Ircam in the past years on the Orchidée project and to bring it to new possible directions. After an historical perspective, the outline of the research done will be presented. Finally, the new toolbox for Max/MSP will be presented, with some examples and use cases. This talk is dedicated to Eric Daubresse.